Buydowns are a way of financing mortgages. They occur when buyers try to get a lower interest rate for anywhere from the first few years of a mortgage to its whole life. Generally, a builder or seller pays a mortgage lending institution, such as a bank, and the institution lowers the buyer's monthly interest rate and monthly payments. The person selling the home will increase the purchase price to compensate for the costs of the buydown. If you are interested in a mortgage buydown, you should retain an experienced Boston real estate attorney to counsel you. When you buy down a mortgage, you pay an upfront charge to obtain a lower rate on a new mortgage. For example, suppose that a bank is offering a fixed rate 30-year mortgage at 6% with a 1% origination fee. If you pay an extra 1% as a buydown, you may be able to buy the mortgage rate down to 5.5. A mortgage buydown allows you to obtain a mortgage at a lower interest rate than the prevailing rate, but the cost of the percentages may vary. Whether you should buy down the rate or not depends on what you intend to do with the home and who will be providing the service. When you buy down the rate, you wind up with a lower monthly payment for a fee. If the rate drops by a fraction of a percent, your monthly payment will also drop, resulting in significant savings over the life of the mortgage. Sometimes you may buy down the rate by a full or half percentage point, but there is an upfront cost. 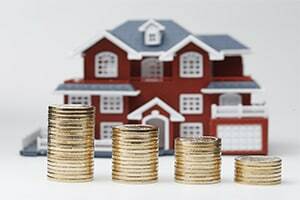 If you are considering a mortgage buydown, you should determine how much time it will take you to earn back the upfront cost of buying down the interest rate. You will need to divide your out-of-pocket cost with the monthly savings to figure out the amount of time that it would take to earn back the cost of that buydown in savings. You would only buy down the rate if you planned to stay in the home for that length of time. Sometimes, you can get a mortgage buydown through a builder or developer. For example, a developer might offer to buy down the mortgage rates to help you qualify for a home so that it can sell homes more easily. This buydown might be for a few years or for the whole mortgage term. You would want to look closely at this offer to see if it is worth it to you. In addition to looking at the amount of time that it takes to earn back the upfront cost, you would want to evaluate tax consequences. Generally, a benefit of a buydown is being able to take a larger tax deduction if you itemize your federal income tax deductions. However, you may only deduct mortgage buydown points in the year that they are paid. Taking out a mortgage is an expensive and serious decision. At Pulgini & Norton, our Boston attorneys can advise a prospective borrower on whether it may be wise to get a mortgage buydown in a particular situation. Our firm also handles real estate transactions in Medford, Brookline, and Braintree, as well as other Massachusetts cities. For a consultation with a home financing attorney, contact us online or call us at 781-843-2200.